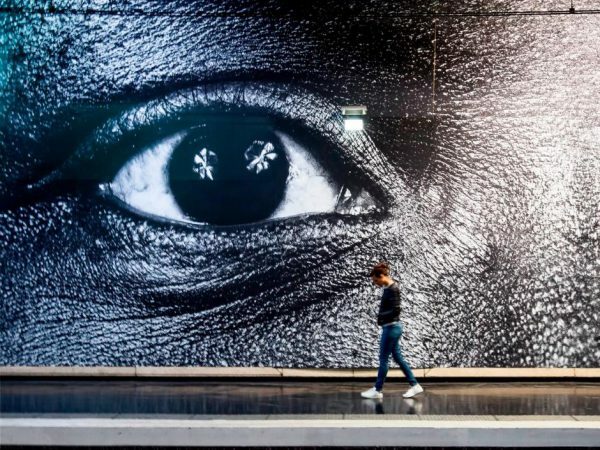 & white photography, coinciding with his current show at Maison Européenne de la Photographie (more on this later). 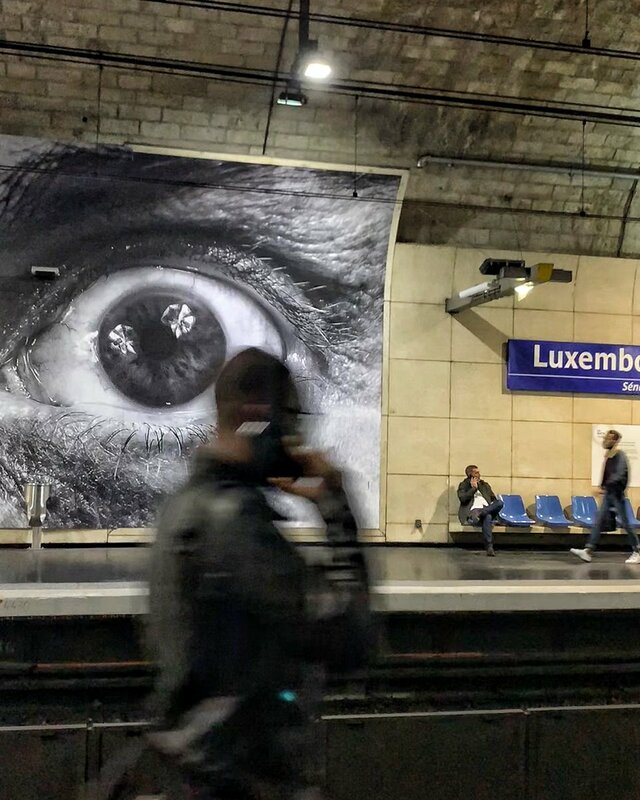 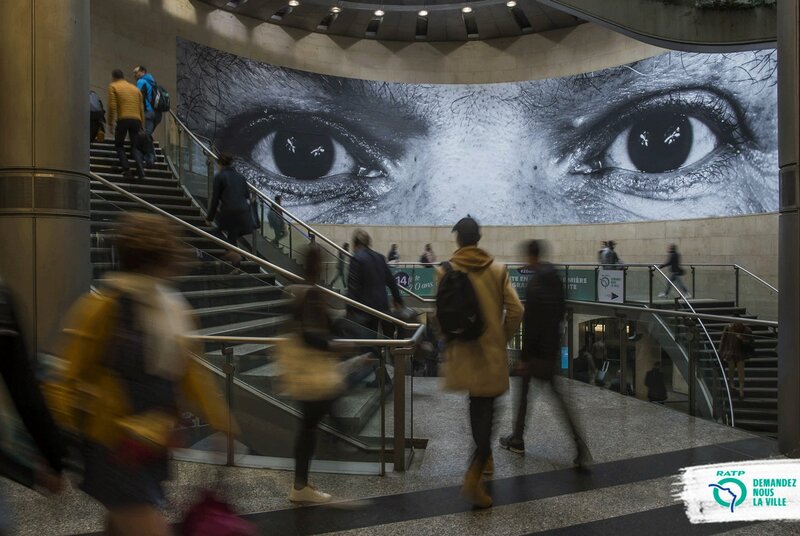 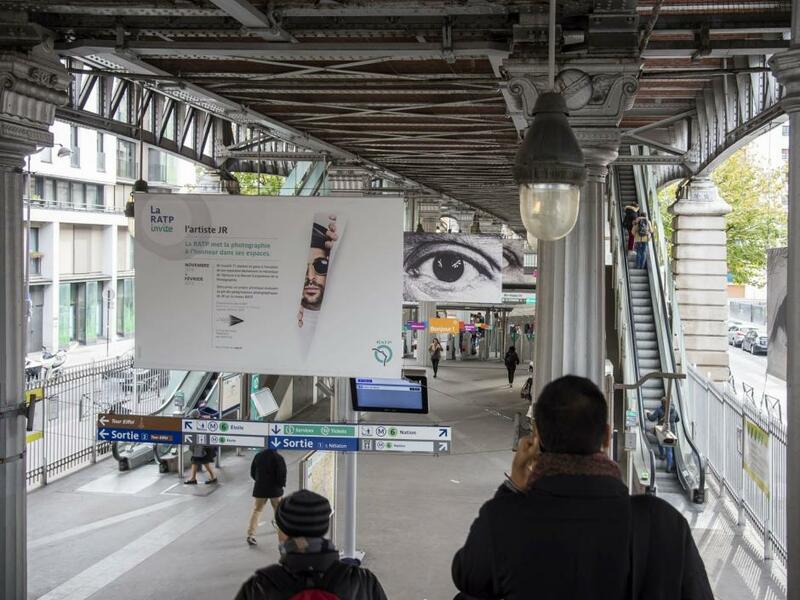 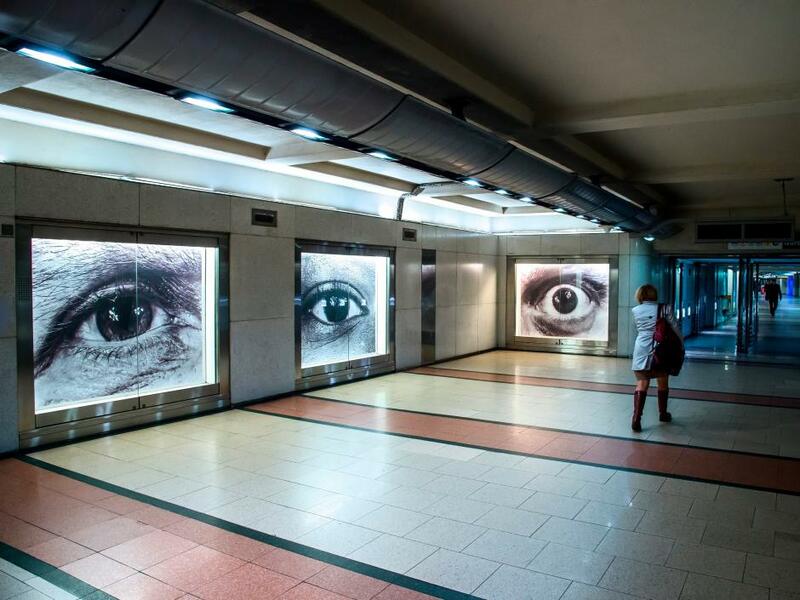 Stations where the French photographer and street artist’s work can be seen include: Hôtel de Ville (L1), Châtelet (L7), Luxembourg (RER B), Saint-Denis Porte de Paris (L13), Gare de Lyon (L14), La Chapelle (L2), Saint-Michel (L4), Bir-Hakeim (L6), Madeleine (L14), Pyramides (L14). 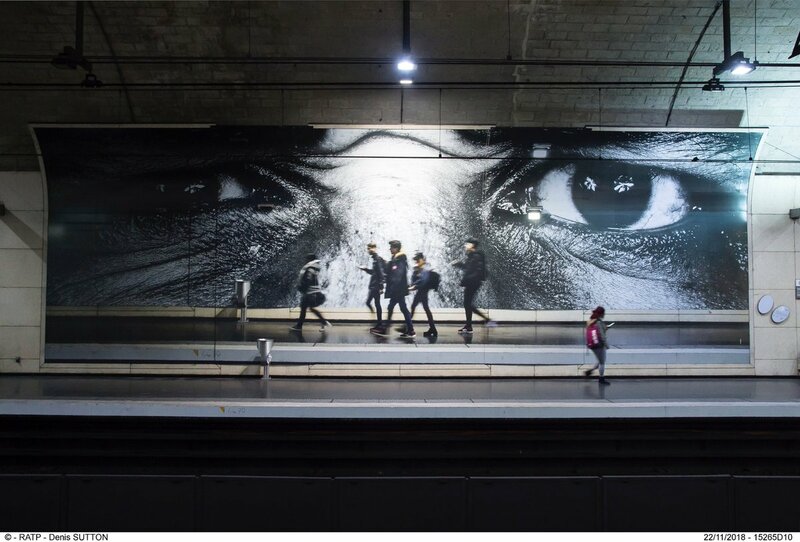 and Nanterre-Université (RER A). 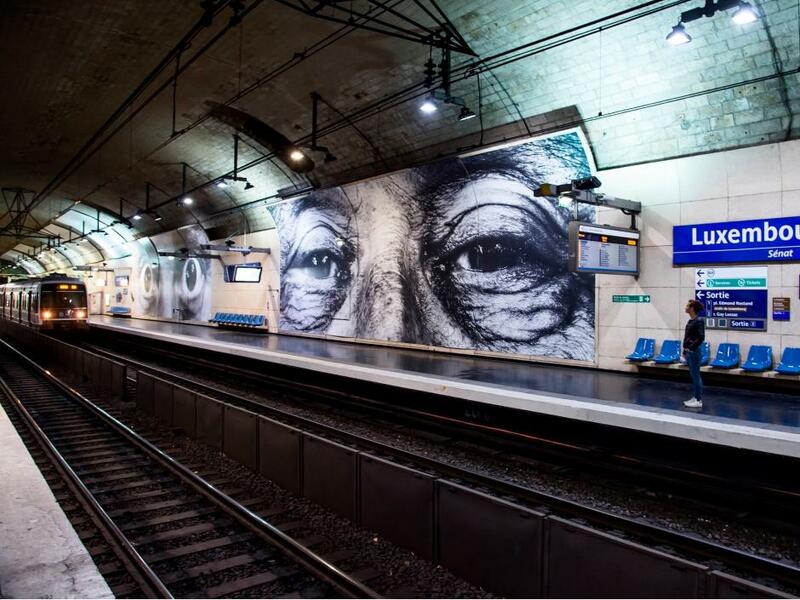 Photo credit: Dennis Sutton (via RATP) & the artist. 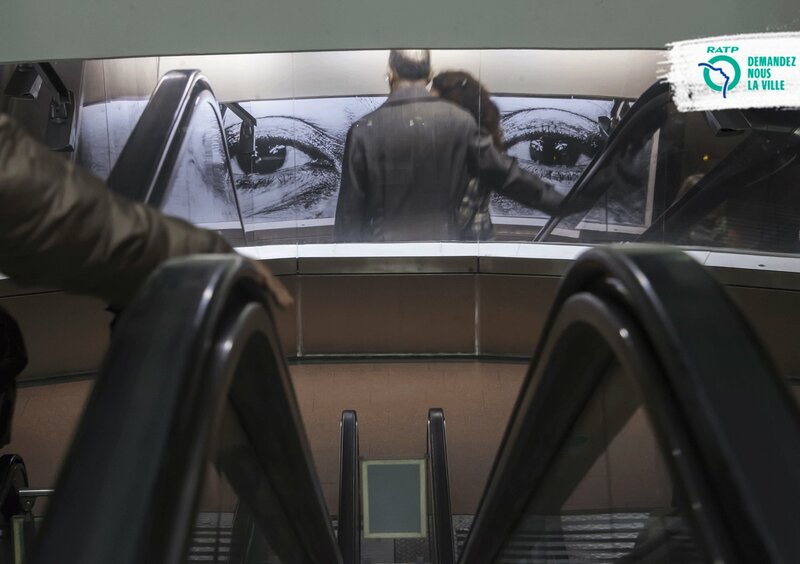 Openings: Brendan Monroe & Evah Fan – “Figments” & “Come What May” @ Galerie L.J. 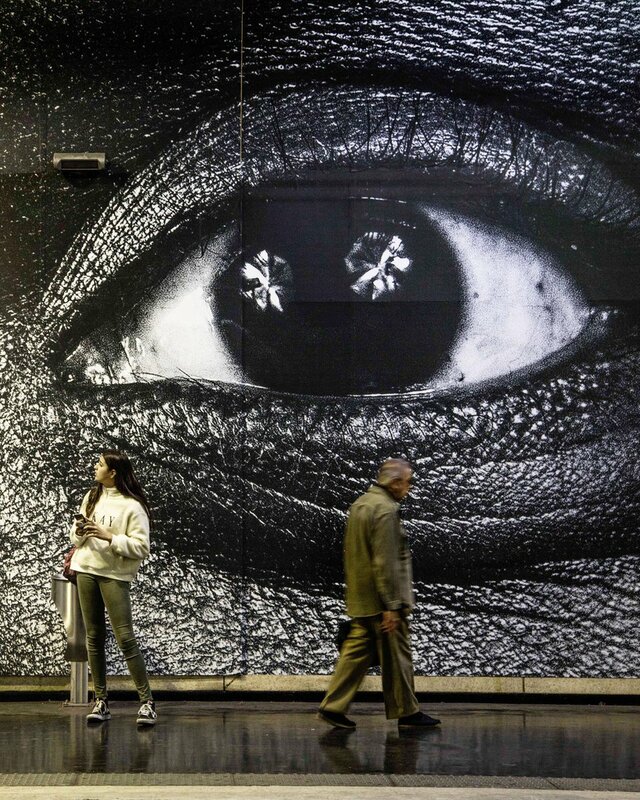 Categories: Contemporary Art, Installation, Photography, Street & Urban Art, Videos. Tags: Contemporary Art, featured, JR, Paris, Photography, slider-featured, Street & Urban Art, Videos.